Being a Parent Can Be Tough! It’s challenging to parent in this day and age, no matter what age your children are. It is common for parents to believe that being hard on themselves helps them toe the line. The reality is that being hard on ourselves makes everything worse! 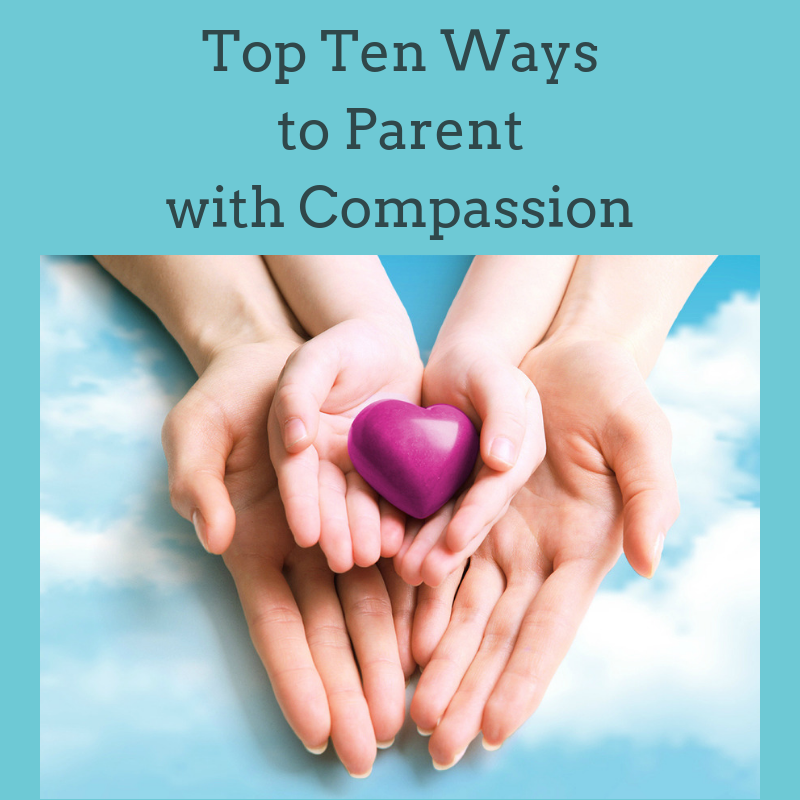 Parenting with compassion is a gentle way we treat ourselves, as we struggle with the demands of parenting. It makes a huge difference to go through life with a kind friend on the inside, rather than a critic who tells us all the ways we’re messing up. By nurturing and supporting ourselves, we have more love and compassion to give to our children. By forgiving ourselves for the inevitable mistakes we make as parents, we won’t waste precious energy beating ourselves up. Our children desperately need to learn how to be compassionate with themselves. They are vulnerable to being hard on themselves because they are constantly learning new things, through trial and error, which involves lots of failure. You’ll also receive my weekly blog posts, helping you be compassionate with yourself – no matter what you’re going through. Licensed marriage and family therapist Kim Fredrickson started this book as a way to have a positive influence in the lives of her adult children and her future grandchildren. After being diagnosed with a terminal illness, she decided to write this book to help them with the challenges of parenting, once they have their own children. As she wrote, she decided to publish this book in hopes it would benefit other parents as well. Kim comes alongside you as an imperfect mom and counselor, to help you parent with compassion, not only for your children, but for yourself too! Don’t worry if you don’t know how to be compassionate with yourself. You can learn and grow right along with your children! Kim Fredrickson’s new parenting book is a compilation of some of the most effective parent training materials I have ever been exposed to. I have had the privilege of sitting in her classes and teaching alongside her. You will find the material and advice to be practical, based on sound research, and easy to understand. Parents regularly comment that Kim’s teaching frees them to experience child care in a more positive and meaningful light. Kim’s wise advice helped me learn how to validate a teen’s opinion even when I disagreed with him or her. I learned to move from teaching teens to coaching them. These skills and others helped me to foster true relationships with my own children and now enhance my relationships with them as adults. In fact, the concepts are so valuable, I use these same skills to inform my counseling practice. Kim shares practical advice that is simple, makes sense and is something you can do. Her motto regarding parenting, is “It’s all about the relationship,” and she offers guidance to develop a compassionate relationship with your kids. Her principles are in line with raising responsible and respectful children. Some of the best advice that I received from Kim was how to deal with a toddler in the store who wants something that you do not want to buy. When your child asks for something, don’t just tell them “no” which is what I would do. Kim suggested that I engage my daughter with questions as to why she wants that toy, what she likes best about it, how would she play with it and with whom. Brilliant! Instead of getting into a negative exchange, this was a positive interaction where I would actually learn more about my daughter and why she liked said toy. It deepened my relationship with my daughter, and I didn’t buy the toy. I used this with ALL of my children! I have benefited greatly from your wisdom, Kim. I think of you often when I “bite my lip” so that I can listen more and speak less! Your wisdom where my strong-willed child was concerned was life changing to him, and to me. In your classes, you encouraged parents to respond with empathy in an emotionally-charged talk with their kids. It never made sense to be empathetic and understanding of my child’s challenging behavior. I would have to coach myself to keep implementing your words so I would get the best results. I couldn’t believe I was able to be compassionate and empathetic when he simply would not comply! It always worked – but was so frustratingly counter-intuitive. Thank you for teaching an emotion-charged mom how to be objective in the middle of crisis. I was able to show love, and direct my kids in a (sometimes) gentle way. Thanks so much for writing this book. I am sharing it with the world. Kim Fredrickson understands how God instructs us with great mercy and care to cultivate secure and empowering connections in the home. Kim offers great insights and practical guidance to grow your faith relationship with the LORD, and wisely teach your children how to seek, know and do the will of God in a cyber-powered world that inspires anxiety and doubt. The information I learned in Kim’s parenting classes taught me that I needed empathy toward my teens. She shared a lot of practical advice that helped me so much. One that stands out is realizing that when I asked my teens, “Why did you do that?” and they responded, “I don’t know,” that it was an accurate response, not a defiant response. I was able to use empathy rather than anger when I responded to them. Thank you so much for your wise parenting advice. My children are in their early twenties. I recently started to use what you shared about listening and empathizing with my grown children, and they are opening up to me like never before. I’m so encouraged that it’s never too late to strengthen my relationships with my children! The information shared in your parenting classes have helped me so much. Learning how to emotionally connect with my children has made such a difference in our family. My home is calmer, and I have better relationships with my four children. I especially appreciate you grounding your teaching in the Scriptures. Thanks for helping us learn how to set clear boundaries with our “spirited child.” We’ve been able to set compassionate boundaries with our son, and it is going well. He doesn’t like it, but is learning that we aren’t “push-overs” anymore. I so appreciate your encouragement that even if our kids are older we shouldn’t feel guilty for all the things we didn’t do. That has helped me focus on moving forward and rebuilding the relationships with my children. I know it will take time, but I’m already seeing them warm to me a little. Thanks for giving me hope.